It’s been a minute since I’ve written a little something, not sure why…maybe just being lazy. But today I have some updates for the Focus ST a.k.a. Blue Steel. Bought and installed a little something and did some exterior touch up/ enhancements. Back in December, after much research and debate, I ordered a set of Mountune lowering springs. The springs are supposedly designed to work great with the ST’s factory struts without being too low and ruining the struts prematurely. Dropping the ride height up to 1 inch up front and 1.4 out rear. Those numbers help to eliminate the unnecessary and unsightly wheel gap that the factory springs provide. The Mountune springs lower the cars center of gravity, tighten up the turn in, while sharpening the car’s already impressive handling. What’s in the box? I was excited to finally get notification that they shipped after almost 2 months of waiting. Funny thing is a cancelled the order when I found out they were backordered but after looking around and reading reviews I reordered them. Figured I wouldn’t have the time to install them until February anyway so the wait wouldn’t kill me. You know for me it’s like Christmas when car parts arrive at the house, but unlike my younger years I’m a little more apprehensive on doing installs. Just thinking about breaking something or just the soreness that comes from a day of labor under a car. Although I didn’t run into the garage to install them the same day they arrived, I have a friend who was pretty eager to get his hands dirty and help take the job. It was a rainy weekend and I wasn’t sure if I wanted to leave to even leave the house or even be in a garage, but I’m glad I did. My buddy Rahman helped me get the job done. The only hiccupa we had was not loosening the sway bar for the rear springs first. Would’ve made the job much easier and saved some time. Probably not necessary, but it did help. And not spreading the front knuckle wide enough. Being too gentle when it wasn’t necessary. That made for a workout. These tips I carry with me in the event another spring install comes my way. I saw this video and had to repost it. Ford has just put the exclamation point on the hot-hatch and the entry-level sports car segment! They wet our whistle with the tossable Fiesta ST and it’s almost 200hp and the Focus ST with its 252hp and its mixed reviews of being too tame and not as fun as it’s little brother. So thank you Ford for finally delivering on your promise to bring America the Focus RS. Ford is claiming at least 345hp and all-wheel drive matted to a 6-speed manual gearbox. 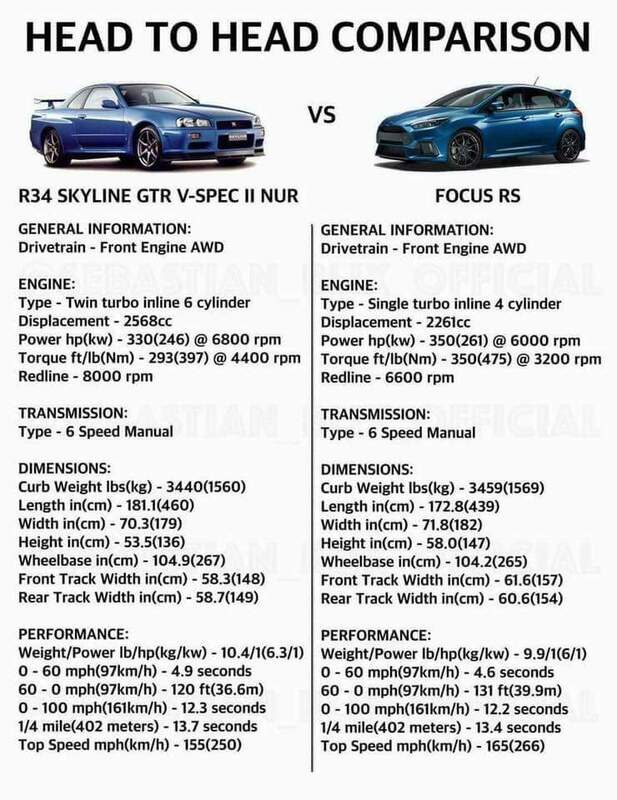 These numbers trump both, the VW Golf R with it’s 296hp and the Rally-bred Subaru WRX STi delivering 305hp respectively (the Mitsubishi Evolution will no longer be in production by the end of this year). Neither of these are anything to sneeze at, and both tip the horsepower power per dollar scale very nicely. Hmmm, I wonder what Mazda will deliver with the Speed3…stay tuned.